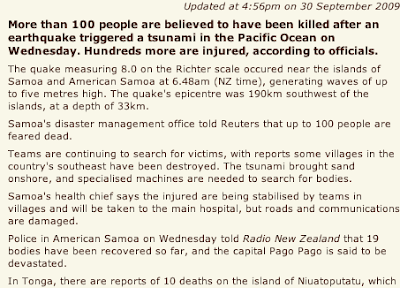 RNZ latest: The death toll is rising steadily as the extent of the destruction becomes apparent. The state of the shipping fleet must be of some concern too. 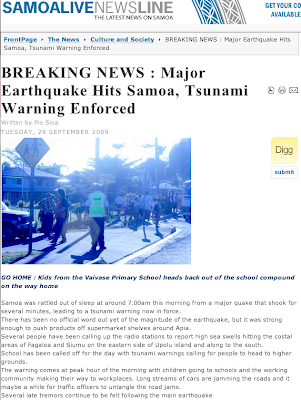 RNZ: has just reported many people are feared washed out to sea. 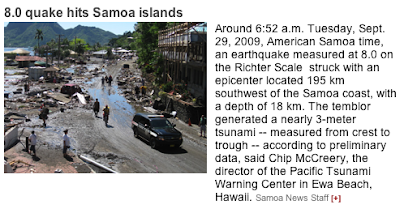 Pago Pago has been hit very hard according to the local director of Homeland Security in American Samoa. Bodies are being found in the debris. As nightfall nears the searching continues. The Red Cross is active and the US and NZ have dispatched airplanes. Apia police HQ have issued further tsunami warnings - 5:24PM - police sirens and sounds of panic in the background of the live report. 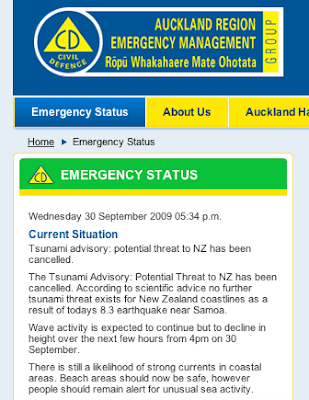 Civil Defence warnings for NZ have been cancelled. That is terrible news, I hope they can get rescue to them quickly.